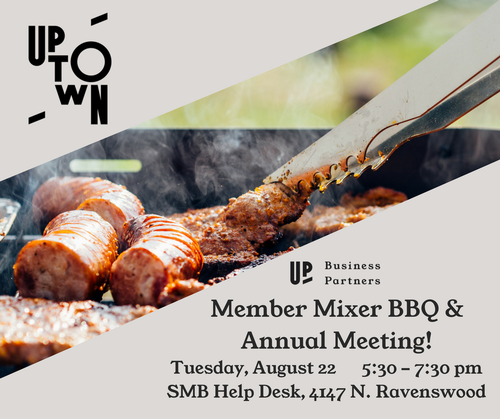 "Join us on Tuesday, August 22 for our annual Member Mixer BBQ & Annual Meeting! Meet other business owners and community members while enjoying light food and drinks provided by our host, The SMB Help Desk. It's a backyard barbecue with some business mixed in. We'll have burgers, brats, hot dogs, and cold drinks. To RSVP, please click here!"